There is a plague… a pandemic that has run wild in the business world and threatens to infect any business where creative design processes meet the bureaucratic processes of “business as usual.” It is an insidious infection that enters the systems, riding piggyback on infectious vectors that should promote productivity and production. The plague is called “The Meeting,” and you have probably already had your close calls with it. These are all common reasons that meetings are categorically viewed as the antithesis of productive workplace activity. Yet, we keep right on having them because, in theory, they seem like really good ideas. In theory. 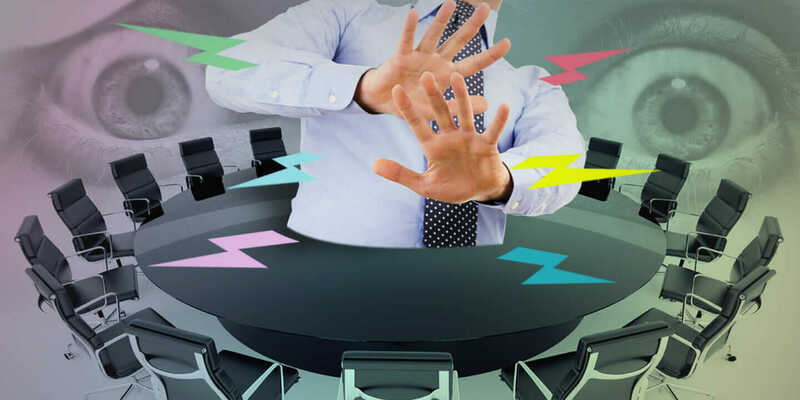 Instead of barricading yourself in your office with a five-gallon bottle of water and some protein bars hoping to outlast the meeting plague, use these three tips to vanquish your business-meeting problems and improve productivity. 1. Create an Agenda. A meeting is very much like a like a relay race. Before each person can show up and give their best effort, everyone has to know the plan and be ready to run in the predetermined order when their time comes. Meetings are very much the same in that they take planning so that each person knows their part and can be prepared to put forth their best effort. A meeting agenda will lay out the plan for the meeting, let each person know their part, and not only set specific goals, but also specific time slots to ensure the meeting ends on time. Practice It: Before you send out the ubiquitous Outlook meeting request, take the time to write a brief agenda to include in that giant blank area. Begin by identifying the project that is to be discussed. Decide what constitutes a successful meeting, then list the major points to achieve that success. Finally, identify one or two key persons to speak to each major point. Adding this information will put your meeting in order and inform everyone attending of what to expect and what is expected of them. 2. Establish a Meeting Method. You would never begin building a house without a plan, so why would you have a meeting without one? There are as many methods for conducting a meeting in the world of business as there are types of businesses. What matters is that you decide on the method beforehand and prepare accordingly. Even better is to set a routine so that everyone knows that the “Monday-morning meeting” is a progress update or the “first-Friday-of-the-month meeting” is for team building. Practice It: For your next “project-develop” or “status” meeting, try the Scrum style of meeting, in which participants take the role of either a chicken or a pig. The metaphor for the project is “breakfast,” where the chicken contributes, but the pig is wholly committed. For each project or update, allow key players to be pigs and speak while non-key players should be chickens and observe, contributing only when asked. This meeting method will help you shorten those endless meetings and still get all the necessary data. 3. Be Sure to Follow Up. Congratulations, you have just had the best, most productive meeting of your career. Everyone was on point. Lots of decisions were made, and plans were laid out. You must be feeling good. Still, this milestone event can all be a colossal waste of time if no one follows up on the results of the meeting. Always frame each point and decision made in a meeting as a task that should be followed up, or, as David Allen might put it, a “next action.” Following up on these points is an often-overlooked key aspect contributing to the failure of even the most seemingly productive meetings. Practice It: It is impossible to follow up on items that are not documented during the decision-making process. At your next meeting, designate one person to keep the minutes of decision points as they are reached. Then have that same person, or another, immediately send out a meeting addendum reminding everyone of the decisions made and the next actions that are expected from each person. Nobody in their right mind wants to spend the rest of their working life sitting in meetings. However, by taking the proper steps to prepare—guiding the actual meeting with direction and proper expectations and following up with documented lists of expected actions—you can make the absolute most of the time you do spend in meetings. You might even find that you are getting so much accomplished in the meetings that you do have, that you can get away with having fewer of them.